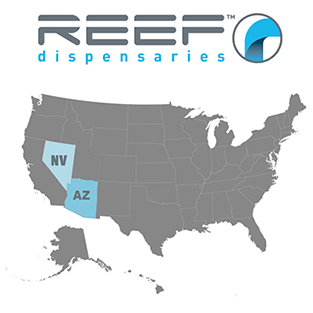 Please note: If you are looking for career opportunities with Reef Dispensaries, please instead refer to our Careers page. Applicant requests submitted here may go unanswered. To help us guide you to the right person, please tell us the reason for your contact. Please note, we can only purchase medicated products from licensed cultivators and/or producers in the states in which we operate. Please do not contact Reef with out-of-state wholesale inquiries. You may include up to 2 photos or other files (under 2MB each) for review along with your query.